ProAiir DIPS is a concentrated Hybrid liquid brush-on makeup, with all the characteristics of ProAiir Hybrid. Individual colours in 30mL (1oz) bottles. ProAiir DIPS are concentrated Hybrid liquid brush-on makeup that can be dried to create alcohol activated palettes. DIPS are intended for detailing, as opposed to broad coverage. 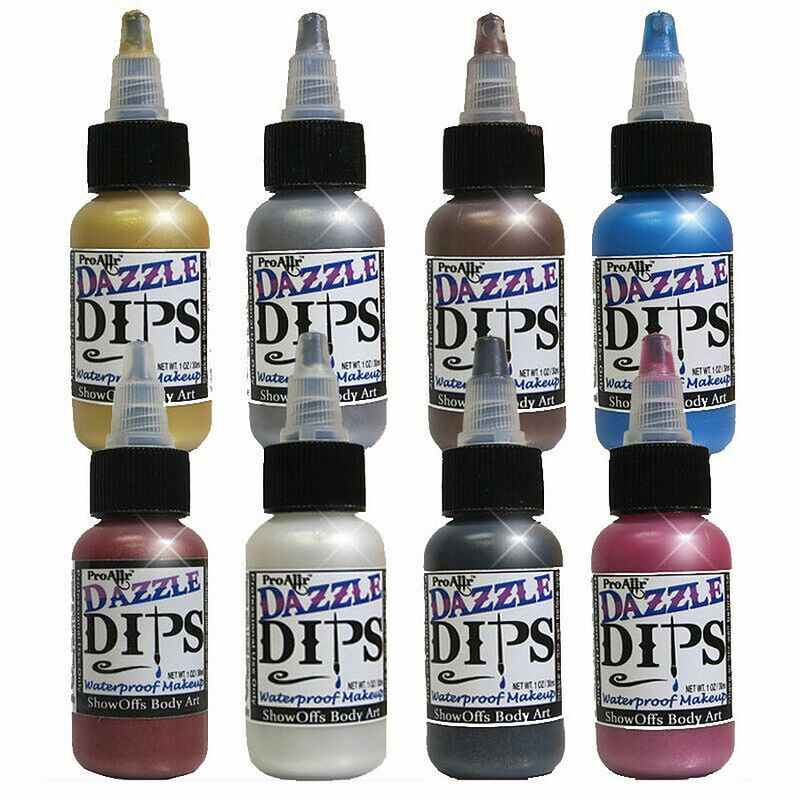 DIPS are ideal for detailed line work, dots, one stroke painting and the like. Apply over eyelids, on lips, on top of other body art or anywhere else to draw extra attention. The absence of water leads to little or no separation of pigments from fluids and an incredible shelf life.